It is situated between South Sweden (Skåne), Germany, Poland and Denmark west of the island of Bornholm. It involves six planning areas with differing planning cultures and interests considering not only the national division, but also the regional-national interface. Sweden and Poland were about to start real MSP processes and Germany planed to update their already existing real MSPs for this area. 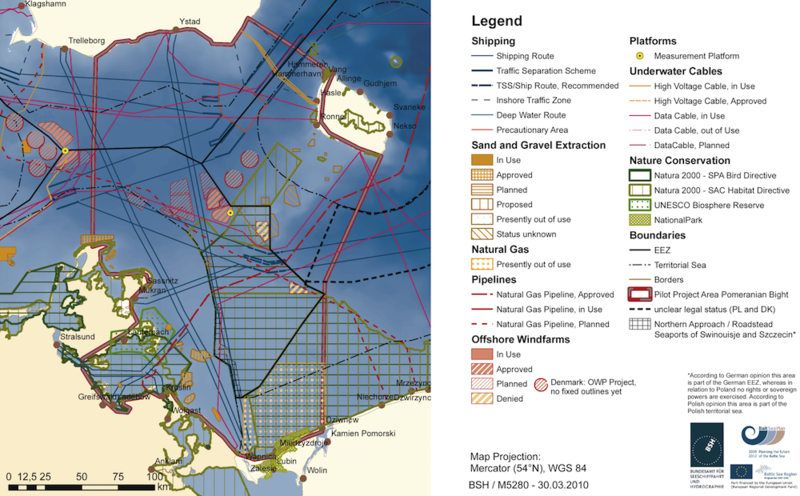 The area is subject to many uses, including shipping (with many ferry connections passing through this area), offshore wind energy developments, sand and gravel extraction, pipelines and submarine cables, nature conservation, fishery and tourism. 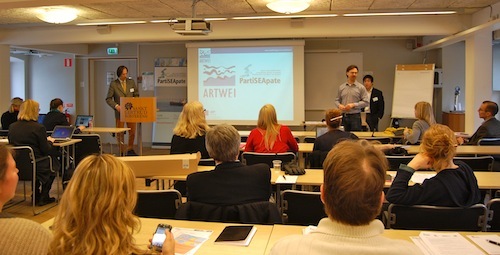 More than 40 participants from municipalities, government agencies, various interest groups, marine and wind energy sector, researchers and consultants participated in the Maritime Spatial Planning Workshop held in Malmö/Sweden March 18th-19th, 2013. Lectures were held by representatives of the Region Skåne, the World Maritime University, the Swedish Agency for Marine and Water Management, the Swedish Environmental Protection Agency, the County Administrative Board, the Marine Environment Institute and Lomma municipality.